sometimes things get stuck in your head. 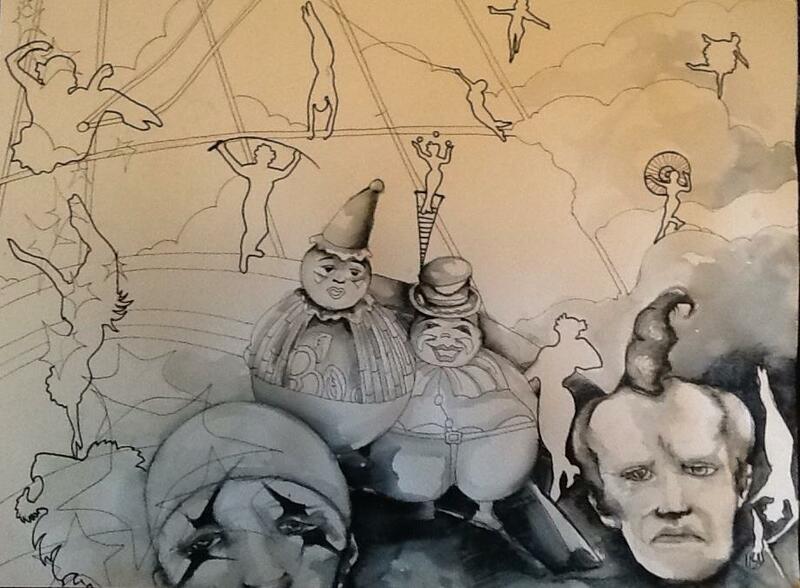 i’ve had images of clowns and tightrope walkers floating around for a while now. the top piece is finished, but the bottom one has been put aside for now. 25 Jan	This entry was published on January 25, 2013 at 4:52 am. 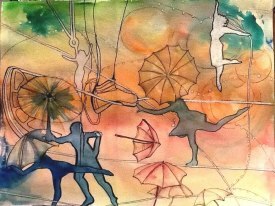 It’s filed under artwork and tagged bigtop, black and white, circus, clown, colors, painting, tent, tightrope, watercolor. Bookmark the permalink. Follow any comments here with the RSS feed for this post.